New research finds it can do more for your chronic pain than knee bands, pain meds, and therapy combined. Worse yet, lateral patellofemoral overload syndrome is the most common cause of knee pain and, until now, the primary treatment has been rest, the use of pain relievers and anti-inflammatories, physical therapy, and sometimes even surgery. Unfortunately most of these methods only temporarily reduce pain; previous studies have shown 80 percent of patients reported ongoing symptoms after conventional treatment and 74 percent experienced reduced activity levels. But researchers from Imperial College London and Fortius Clinic have found a better, longer-lasting alternative: botox. In the study—published in the American Journal of Sports Medicine—researchers took 45 patients all suffering with lateral patellofemoral overload syndrome and injected Dysport, a type of botulinum toxin like Botox, into a muscle at the front and outside of their hip (under ultrasound guidance) followed by personalized physiotherapy sessions. Botox, though typicallly thought of as the magic elixer that erases wrinkles, has also been used for other issues, including stopping excessive sweating. First, you may be wondering why they injected botox into their hips when they have knee problems. 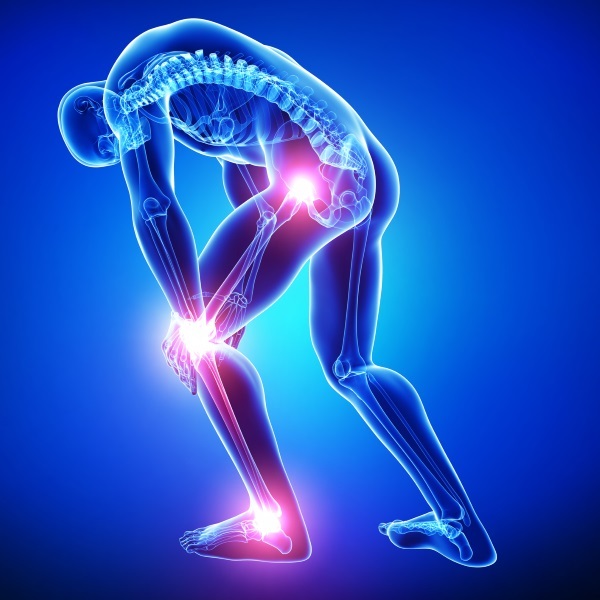 Typically, those knee issues can be traced back to weak glute muscles; when these muscles are inactive, it causes a chain reaction and places more stress on the lower portion of your body (i.e. your hips, quads, and knees). But the researchers also noticed all the patients overused their tensor fascia lata muscle located in their hip rather than their gluteal muscles. Normally in physiotherapy treatment, therapists try to help patients strengthen their glutes, but the tensor fascia lata muscle was over-compensating during exercise. So the researchers injected Dysport into the front of every participant’s hip to get those muscles to relax and urge the buttock muscles to be used more. The subsequent physiotherapy was aimed at strengthening the participants’ glutes and addressing other weak or tight muscles. After, 69 percent of the men and women required no further medical interventions, even reporting complete pain relief after a five-year followup. Bet you never thought you’d be thinking this, but is botox right for you (although, the number of dudes seeking treatment for cosmetic treatements is on the rise!)? The team will analyze muscle activity pre- and post-Dysport injections to get a better understanding of how these mechanisms work, so it might be a viable solution in the near future.